Restrictions in terms of emissions into the atmosphere and the narrow roads of historical town centres mean that compact zero-emission vans need to be used. 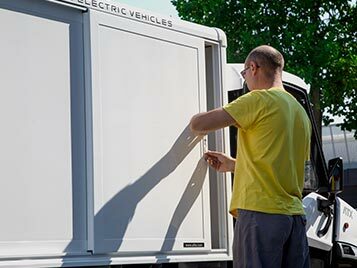 Why choose Alke' electric cargo vans? 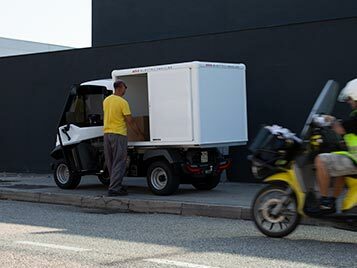 Alke' Electric cargo vans are the ideal means of transport for urban areas since they produce zero emissions meaning they can be used in areas with atmospheric emission limits. 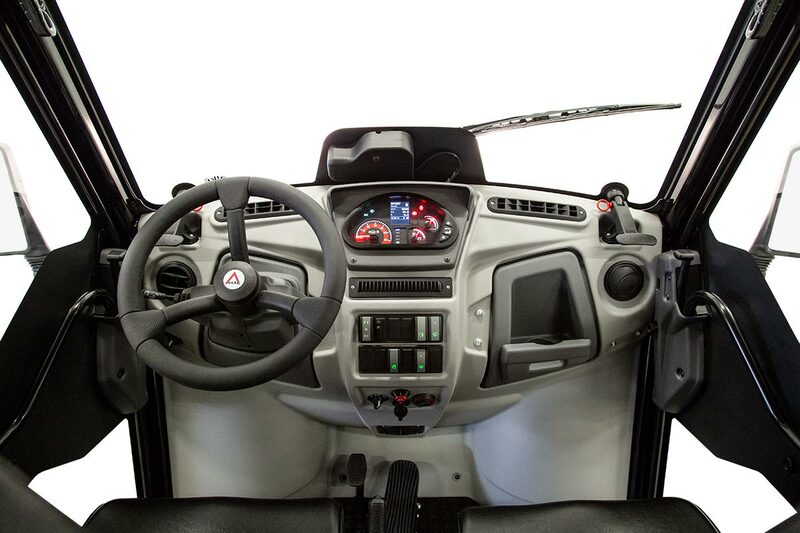 Furthermore, as they are compact, they can easily be used on the narrow streets of historical centres. Despite being compact, these vehicles have characteristics which make them unique in their category. They have a load capacity of up to 1630 kg, a towing capacity of up to 4500 kg, autonomy of up to 150 km and they are able to handle inclines of 35% meaning they are also ideal for use in hilly areas. 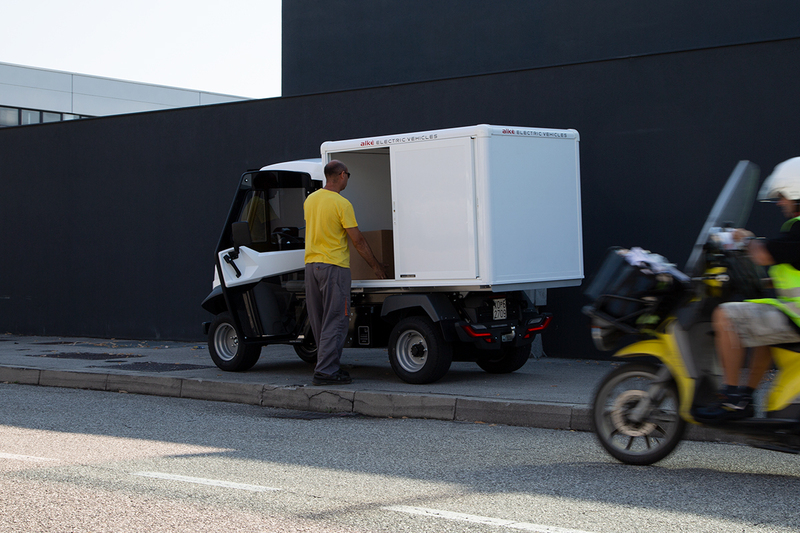 They are perfect for 'stop and go' type operations just like those required for deliveries in urban centres. All the Alke' ATX models are also N1 type-approved for road circulation. Upon request, Alke' also provides a remote monitoring system which is ideal when a fleet of vehicles needs to be managed, as in the case of logistic services. 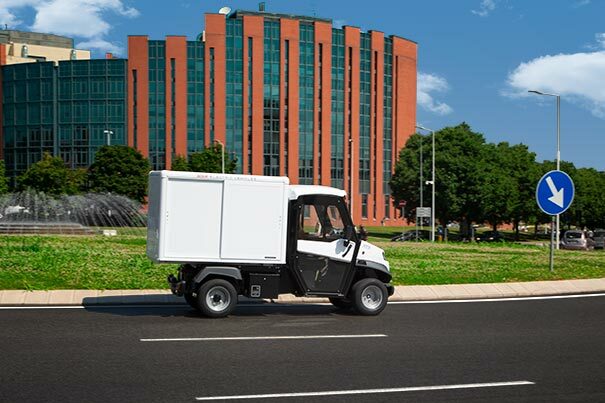 To meet the requirements of urban transport as well of those of other sectors, Alke' has a large range of configurations available for its electric cargo vans. There are numerous possibilities depending on the material to be transported. 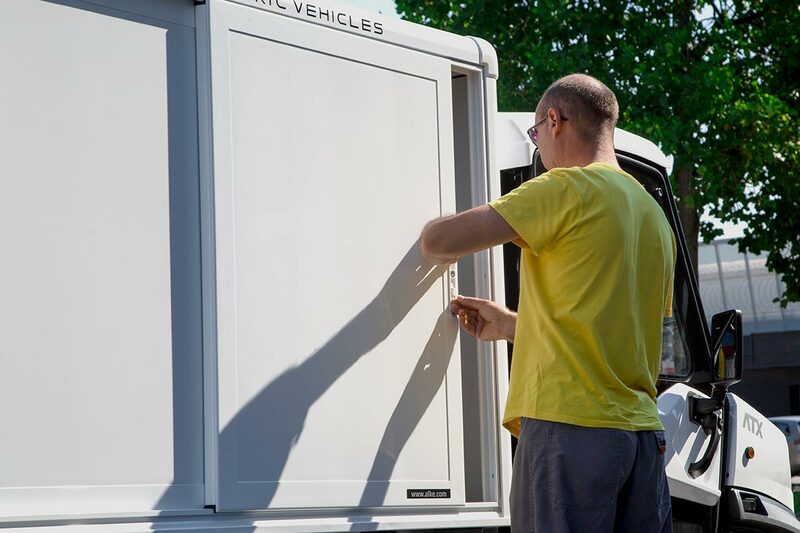 If the goods need to be protected, operators can choose from the various closed box options: with side sliding doors, side blinds or body tarp which can be opened on three sides. If perishable goods are being transported, such as ready-made meals, there is also a solution with a thermally insulated box. The version with the drop side cargo bed can be equipped with an electro-hydraulic lifting device (three-sided) and if a greater loading capacity is required, steel mesh sides can be applied. 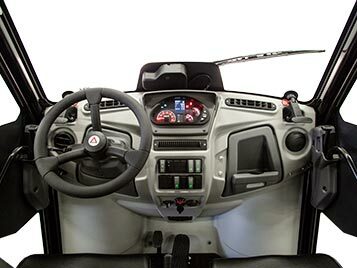 Alke' provides operators with the possibility of choosing from the COMBI configurations with the rear compartment box.